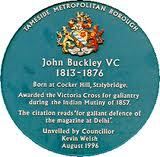 *John Buckley was born in May 1813 at Cocker Hill in Stalybridge. He is truly a local hero. He is one of the only 1353 people to have received the Victorian cross which is the joint highest award for bravery in the United Kingdom with the George Cross. His life story would make an amazing film. I wonder if Daniel Craig could pull it off, because if I’m honest I prefer my heroes to look more like Daniel Craig, or perhaps Brad Pitt than the photo below. John Buckley started work, as did most Stalybridge people did then, in the Mills. He worked at Harrison’s Mill and then Bayley’s Mill. 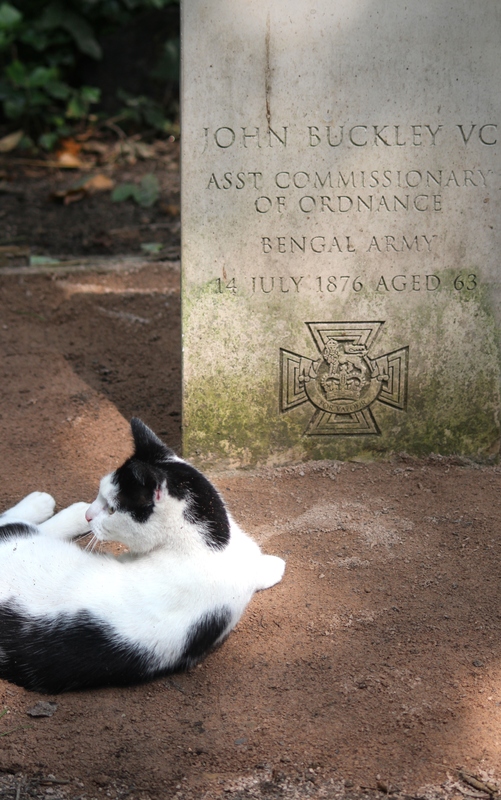 When he was eighteen he went to Manchester and joined the Bengal Artillery. Shortly afterwards he was sent to India in June 1832 as a gunner. In India, he met and married Mary Ann Broadway in 1835. Living in Calcutta the couple had three children but by 1845 Mary Ann and two of the children had died. Buckley remarried in 1846 but in 1852 he lost the surviving child of his first marriage and in 1853 two sons by his second marriage also died. So far he has lost one wife and five kids… unfortunately he was to lose more by the end of his story. 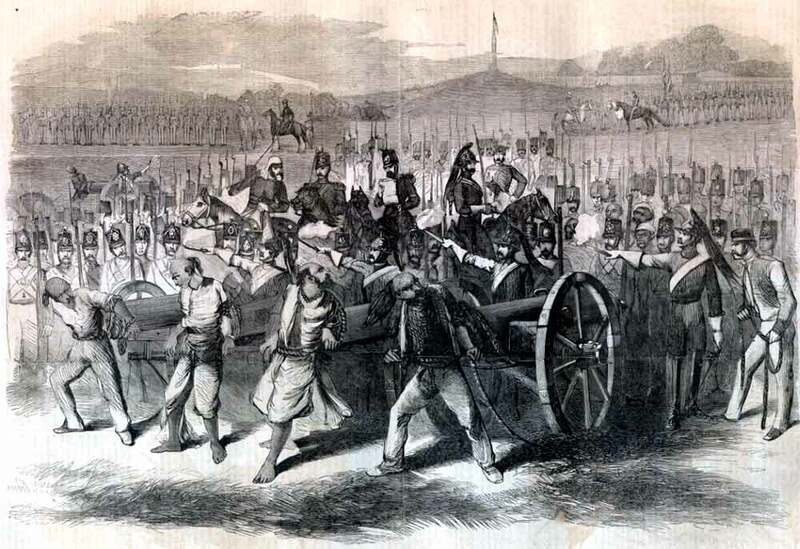 Four years later, in 1857 Buckley, his wife and three surviving children moved to Delhi where he became Assistant Commissionary of Ordnance and was employed at the Delhi Magazine (storehouse for guns and ammunition). In 1858 he was promoted to Lieutenant but shortly afterwards fell ill and was given two years leave. I understand he came back to Stalybridge. Whilst back in England he received his Victoria Cross from Queen Victoria. 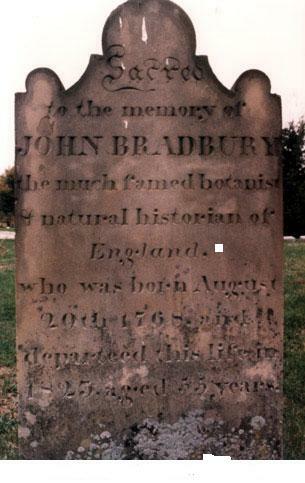 He lived for a short while in Stalybridge before returning to India as a Major in October 1861. He died in 1876. A blue plaque to commemorate the life of John Buckley is on the wall of the Travellers Call Public House, Wakefield Road, Stalybridge. John Buckley was in the news again recently. There was an article in the Manchester Evening News on 11 December 2012 about the recent finding of his unmarked grave in a cemetery in Tower Hamlets cemetery North London. The Victoria Cross Trust raised money for a headstone. Thanks to James Melik I can now post a photo of the headstone. And I love this photo; featuring James’ cat! 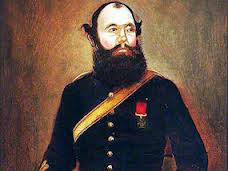 *John Buckley’s Revenge – now you have to remember here how much Major Buckley lost whilst in India; first one wife and five kids to illness and then his second wife and three kids to the rebels…So on escaping the rebels capture he was probably a bit mad. apparently then rejoined the British Army, captured 150 of the rebels strapped them to cannons and blew them apart… sounds a bit messy. Thanks for highlighting that one Jim! *I also have Jim to thank for finding this record of John Buckley’s Baptism. I have had another email about Major Buckley; this time from a descendant of his – it seems there was more to John Buckley’s reasons to joining the army than I originally thought…..A yet another wife and more children! Looks like he had children and got married in Stalybridge before he left for India! “According to some legal documents from the 1830’s, (still in my father’s possession), John Buckley was married to my 3x great aunt Ann Woodall, of Cocker Hill, Stalybridge. Their two daughters were christened on the same day (6th. February 1831) at Old St.Georges Church, Stalybridge. Looking at the baptismal records, the first daughter was born illegitimate on 31st.October 1829, and was given the name Mary Ann Buckley Woodall. The second daughter was named Hannah Buckley, and is registered as daughter of John Buckley spindle maker and Ann. After looking at the parish register of deaths, it looks likely there was a second illegitimate child named Ann Woodall, she died at one day old in 1830. Ann Woodall was born in 1810,and was the daughter of John Woodall, Shoemaker and Nanny Woodall (his second wife). The legal document mentioned above, is to do with a business venture drawn up between Ann’s father John Woodall, the local Lord of the Manor and David Ricardo (M.P. and renowned economist) of Gatcombe Park. The document names Ann, together with her husband John Buckley and the years they were born, (Ann in 1810 and John in 1813). 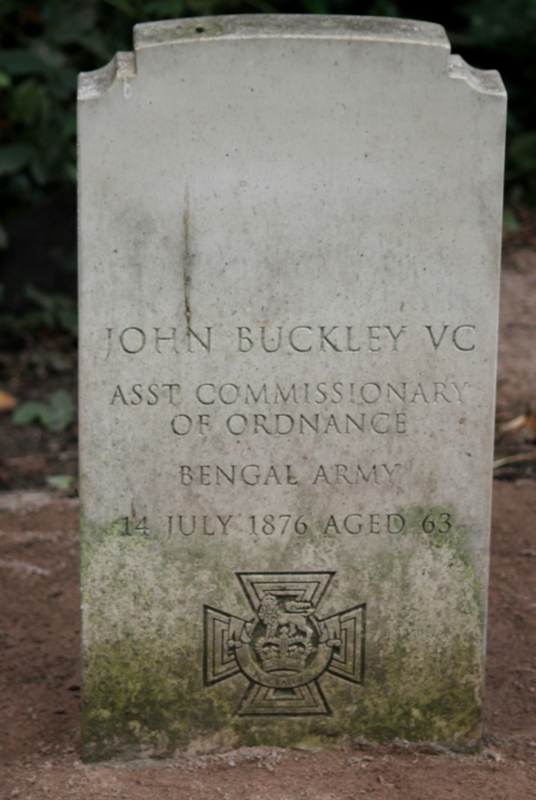 Reading between the lines ,it looks as if John Buckley ran off to join the army shortly after they were married and committed bigamy whilst serving in India! Ann Buckley was supported by her family for the rest of her life, by means of a 1/8th.portion of the rents from property owned by her father in the Stalybridge area. (Confirmed by more legal documents). Interesting stuff eh? I haven’t checked it at all or seen the document in question, but have no reason not to believe it. Thanks very much for the email Val. I found this reference about Mary Williamson (nee Kershaw) in information rearding the Lychgate at St Pauls Chuch on Huddersfield Road in Stalybridge. Mary grew up on Cocker Hill and the Lychgate into St Pauls was a gift from Mary and her husband Tomas to celebrate their Golden Wedding Anniversiary. The Lychgate was constructed in 1904. This story provides a nice contrast to my earlier post about Joel and Margaret Broadbent also of Cocker Hill. Thomas Williamson came to Stalybridge from Rochdale in 1850 when he was about 22 and set up as a watchmaker and jeweller in the town where he met Mary Kershaw. She was the daughter of a tallow chandler in Cocker Hill, and they were soon married. Mary had a lifelong connection with St Paul’s – it was said that she was present as a child at the laying of the foundation stone of the church as well as at similar ceremonies at New St George’s and St John’s, Dukinfield. For the rest of their lives she and her husband were highly involved with St Paul’s where Thomas was twice a church warden and a substantial benefactor, and Mary was “a devoted and loving friend” of the church and its people. Thomas moved from the jewellery trade to establish a brass founding firm, initially near the present Post Office and then on Cocker Hill and finally in Tame Valley at the Atlas Works which became successful and flourished. He was also a director of Albion Mills Co. Ltd. when it was incorporated in 1883. Thomas and Mary lived at Brookfield Villa in the lower part of Mottram Road. They planted and made themselves responsible for the upkeep of the roadside trees in Mottram Road in addition to many other good works for the town which Thomas had adopted. He was a councilor in 1866-9 and again in 1879-85 and was a Justice of the Peace from 1880 onwards. He retired at 62 and devoted the rest of his life to philanthropic, public and religious work quietly and unostetatiously. His chief religious interest was St Paul’s where he was “devotedly engrossed, and with money, advice and labour did all he could to forward the good work of the Church”. It seems that Thomas and Mary loved and were devoted to God, Stalybridge, St Paul’s and each other, but remained childless. When Mary died on Christmas Day 1909, aged 79, Thomas declared that he would die at Christmas to – he passed away two years later on December 13 aged 81. A Wife Charged With Murdering Her Husband. Stalybridge was on Tuesday night thrown into a scene of the wildest excitement upon a rumour being circulated that a woman had made a murderous attack upon her husband with a knife, and that there was little hope of his recovery. The report only too true, for within about twelve hours of the perpetration of the deed the unfortunate husband had succumbed to haemorrhage, following upon loss of blood caused by a terrible wound in the neck. The deceased was Joel BROADBENT, a forgeman employed at Messrs Summers’ Globe Ironworks, and he resided with his wife, Margaret BROADBENT, and two children, at a cottage, No 3 Cocker Hill, a short distance from the Town Hall. At nine o’clock — it appears from the statement of Mrs BROADBENT’s mother (Mrs Margaret DOCKNEY, who resided with the parties) — deceased arrived home and he and his wife exchanged a few heated words. At that time there were two knives on the table, and fearing a disturbance Mrs DOCKNEY cleared the table of the pots. Whilst doing this it is alleged that her daughter picked up one of the knives — an ordinary weapon used for peeling potatoes — and stabbed her husband in the neck. What subsequently transpired is best gleaned from the account furnished by Constable Brierley GRIMSHAW. By this time information of the tragic events had reached the Town Hall, and the poor man was conveyed in an unconscious state to the District Infirmary in the horse ambulance. Later on he recovered consciousness, but succumbed the following morning as stated. From what the deceased man said, Constable GRIMSHAW afterwards went to a house in Avon-street, and there arrested Mrs BROADBENT. He took her to the police station, and she was locked up. After midnight the man’s dying depositions were taken at the Infirmary by Mr Jno WHITEHEAD (magistrates’ clerk) who was accompanied by Dr HOWE, JP, and Captain BATES (Chief Constable), and we understand that a very clear statement incriminating the prisoner was made. Mrs BROADBENT was brought before the justices on Wednesday morning, at 10.30, her husband having died less than half an hour before the woman was transferred from the cell to the dock. The court was crowded, and as the prisoner, along with others for trial, was lead into the dock breathless silence prevailed, broken only by an occasional whimper on the part of Mrs BROADBENT. One or two minor cases were disposed of, after which the Magistrates’ Clerk called upon the woman to stand up. She complied instantly. She stood against the dock rail, wearing a blue shawl over her head and shoulders, and only displayed a portion of her countenance as the Chief Constable asked the magistrates to hear formal evidence of arrest, and then remand prisoner for a week. In the meantime, added Captain BATES, the inquest would be held, and the woman would have to attend it. Constable GRIMSHAW then came forward and said: Your worships, I arrested prisoner in a house in Avon-street at five minutes to nine o’clock last night. Just previously, I met deceased, bleeding profusely. I asked him who had caused the wound and he replied, “My wife, with a knife.” Upon charging her, she replied, “Yes; and if I had got a weapon I would serve you the way I served him. I don’t care what they do; I’m not afraid to die!” She was then locked up. I have Ian Rhodes to thank for finding this story and highlighting it on his Yesterdays website. I find old newspaper stories fascinating. They really bring the past alive to me. Not sure if I’d have liked Cocker Hill then though; it sounds a little rougher than it is now.